In part one of this series, I introduced the concept of autoregulation. I wrote about autoregulating intensity: by turning the traditional approach on its head, the athlete is told to lift to a certain subjective intensity, not to lift to a certain objective weight. Measuring units of this intensity are called RPEs – rates of perceived exertion. In this article, I’ll focus on fatigue work, which gives a nice answer to the question of volume, or stress. But first, I promised to talk about an objective measure of RPEs. Let’s get that out of the way now. Our RPE scale is grounded in the concept of the athlete determining the level of exertion. If I’m lifting, and shooting for a particular RPE, it’s up to me to realize “OK, I only had one rep left in the tank” which puts my effort at a 9RPE. Depending on the number of reps, this subjective gauge has insured that I’m working out at the correct intensity to generate the desired training effect my program has prescribed. Assuming that I’ve put in my work, that I understand my body, that I’m not prone to misjudging, this tactic works fairly well. However, even if I meet all these criteria, there are times when I’m not sure: did I really only have one more rep left in the tank? Am I just being a little lazy today? As it turns out, there is an objective phenomenon which corresponds (imperfectly) to RPE: bar speed. Intuitively, if we think of a 7RPE as corresponding to Dynamic Effort work, we’re already talking about bar speed – that’s the primary indicator of good dynamic work. 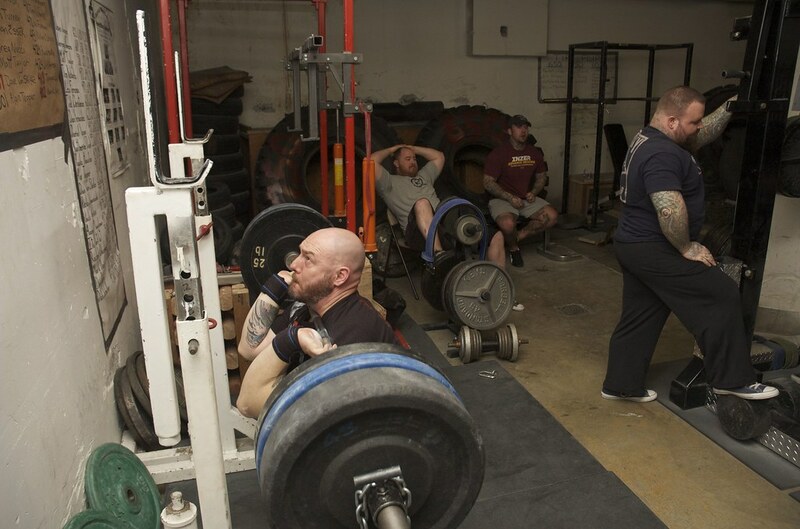 There’s a couple ways to get a grip on bar speed: first, if your athlete lifts with a group, have one person dedicated to watching the bar speed on lifts. 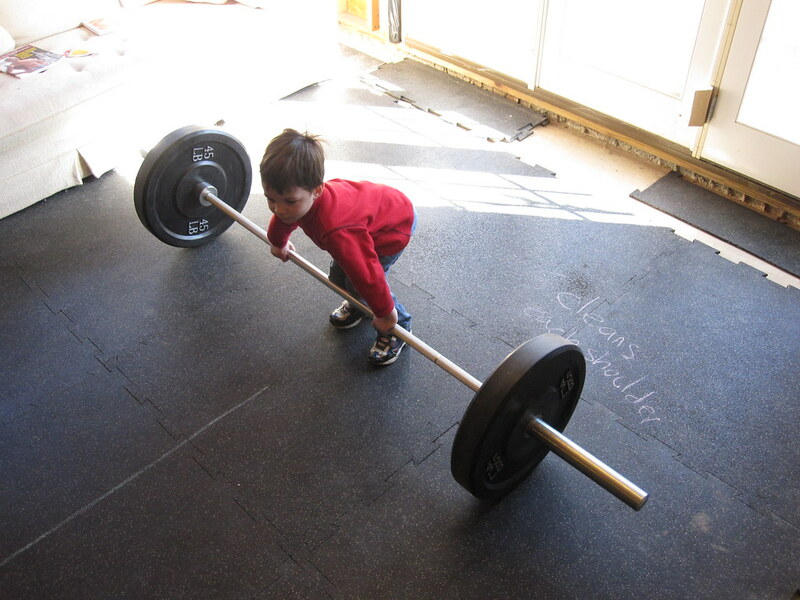 With time, this person will be able to give you valuable feedback, cast in terms of “You really were grindy on the last couple reps” or “Your last rep was as quick as your first”. If your athlete trains solo, it’s still possible to get feedback on bar speed. A video camera can give the lifter some feedback, but that only after the fact. Another option is to use a Tendo unit, and actually measure bar speed, and receive instantaneous feedback on the speed of a rep. This will also give the athlete valuable data to track; the Tendo will record the speed of every rep, and save that until reset for another exercise. Sometimes, however, the objective measure doesn’t give perfect predictive results. For example: a lifter has been using a Tendo, and over the course of some sessions, has seen that whenever she rates the final rep of a three rep set as RPE8, the bar speed of the last rep was .21m/sec. So, on a given day, the lifter has been told to complete a set of three reps at RPE9. The lifter works her way up, and finally hits a set that feels like it was pretty close to an RPE9, but maybe not quite. She checks the Tendo, and observes that the bar speed was .21m/sec – so, by bar speed, this was an RPE8. The lifter, based on previous experience, chooses to add some weight to the bar; enough weight that would turn the next set into an RPE9. However, she can’t complete the last rep of the set, or completes it only with great difficulty, clearly an RPE10. Assuming that she didn’t add too much weight, what happened? It turns out that there’s situations where bar speed just doesn’t predict future RPEs in the session as well as the subjective feeling. Whether this is due to insufficient data, inexperience in using bar speed, or something else is an open question. However, the lesson is clear: don’t rule out the subjective feeling in determining the RPE. What about stress aka volume? I’ve written about intensity, or weight lifted, and how to use RPEs in this context to have your athlete train to a prescribed intensity. Now I’m going to flip the coin, and talk about the other side of autoregulation, the regulation of volume / stress. The first key concept for autoregulation of stress is that of fatigue work. Fatigue work is done after the lifter has reached the prescribed intensity for the exercise. Let’s say we have programmed in squats, for three reps, at RPE9. Our lifter starts out with 135lbs, that doesn’t even generate any meaningful RPE, then moves up in weight until he hits 405lbs. At this point, our lifter assesses, and decides that he only had one more rep left “in the tank”, so he assigns an RPE9. In order to get enough volume to insure the desired training effect, the lifter will essentially perform drop sets. These drop sets are not, however, the traditional drop sets talked about in the gym. These sets are carefully prescribed by a fatigue percentage. Fatigue work is assigned on block-by-block basis, and within each block, on a weekly basis. It’s not varied on a daily basis: that is, all fatigue work for the week will be performed at the same percentage. Working through the example, in this case let’s say the programmed work is sets of 3 reps, at RPE9, with a fatigue percent of four to six. This prescription means that the athlete will work up to a set at RPE9, then remove weight from the bar for drop sets. The amount of weight to be removed – the load drop – will range from four to six percent of the top set. In our example, the athlete completed the 9RPE set with 405lbs. So, we take 405 * .04 = 16.2 and 405*.06 = 24.3. The athlete will remove anywhere from 16.2lbs to 24.3lbs from the bar, and do at least one more drop set. Let’s say our athlete pulls off 20lbs, a nice easy number to work with, leaving the bar weight at 385lbs. The number of drop sets to be performed is regulated, again, by RPE. Our athlete will continue to do sets with a weight of 385lbs until he does a set that he rates at RPE9 – the same RPE prescribed for the top set. This might be one set; this might be three sets. This will be dependent upon many factors – and this is precisely the point of autoregulation. We’re not going to prescribe a fixed weight: the RPE takes care of that, and the athlete will work to a given intensity, whether that takes the same weight, less weight, or more weight than the last time they performed this exercise. Likewise, we’re not prescribing a fixed number of sets; this will be determined by the fatigue percentage, and reaching a set that feels like it took the same effort to complete as the top set did. A couple practical points. First, in our example, the range of weight to remove was 16.2 to 24.3lbs. If the athlete is feeling particularly drained, pulling off 25lbs is ok. On the other hand, if the athlete is feeling strong but believes he only has one set remaining, he could pull off 15lbs. In other words, you can round to a convenient weight. Second, shooting for the same RPE as the top working set really helps the athlete to think about the RPE; instead of thinking in terms of number of reps left in the tank, the athlate can focus upon the feel of the exercise: the last rep of this set feels just as grindy as the last rep of the top working set, or maybe “I’m hitting the same sticking point, and feeling the same way working through it” or “My body is shaking just as hard…”. This is a great way to really start thinking through what subjectively perceived physical behaviors signal a specific RPE. But where do those numbers come from? Hopefully by this point you understand the key concept that fatigue work is prescribed as a percentage of the top working set, and is then performed until the prescribed RPE is reached a second time. By using RPEs and fatigue work, the challenge of self-regulating stress (volume) is met. Hopefully you also understand how load drops work, and that we calculate the working weight of the drop set by taking a certain percentage of the top set. But where do those percentages come from? How do we know what to use? These numbers have largely been developed via research conducted by Mike Tuchscherer on his pool of athletes. There’s more that goes into them than I’m going to cover here. With that said, there are a few key percentages to note. 0%. No drop sets to be performed. This will be used, for example, in the case of limiting stress on the athlete, say, in the week or two prior to their competitive event. 2-4%. This will greatly limit the amount of fatigue work performed, used in a “high intensity / low volume”block. 4-6% . “Normal” range for fatigue work. 7-9%. The high percentages will typically result in higher volume / more sets. Used when we want to wave the volume up, thereby increasing the stress. This could be useful in a developmental block, where we want to elicit, say, some hypertrophic changes in the athlete. If done properly, the athlete will see a decrease in performance in the following week – use this level of stress with caution! Typically, these ranges would be used to meet specific goals in different blocks in a macrocycle designed for a specific athlete. So, for example, we might rarely, if ever, program 7-9% fatigue for an advanced lifter: that’s simply too much stress at the advanced level. We now have a way to autoregulate volume. Still based around RPEs, but incorporating fatigue work in a drop set fashion. Rather plainly, the fundamental assumption here is that fatigue is correlated with recovery. By managing fatigue during training in the right way, the athlete will be able to enjoy optimal recovery and continue progressing. As such, any variable which impacts training fatigue may impact the recovery process. So, for example, if an athlete suddenly starts taking stimulants prior to training, and feels less fatigue during work, thereby doing more work , a variable has been changed. It would then be appropriate to closely monitor progress and make sure that optimal recovery still occurs. The same goes for rest intervals between sets: preach consistency, or preach following through the change to recovery and progression. I’ve also personally had a case where the bar speed indicated I was done with the set (RPE10), and yet I managed to grind out something absurd like 8 more reps, setting a huge rep PR for that weight. This fatigue work is one type, called a “load drop” because we’re dropping the total load in order to complete fatigue work. There are other types of fatigue work: rep based, time based, distance based, depending on the exercise being trained and which aspect of that exercise we’re working to improve. See Mike Tuchscherer’s Total Game Plan Strength Summit DVD for a much more thorough and in-depth treatment of this subject.